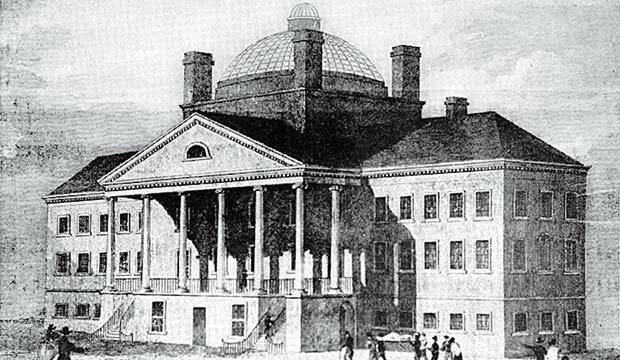 The trustees bought a four-acre lot called Prince’s Pasture, and the renowned Boston architect Charles Bulfinch designed a majestic building (pictured) that today bears his name, crowning it with a surgical amphitheater. The 60-bed hospital admitted its first patient in September 1821—a 30-year-old saddler with syphilis. A few weeks later, a second patient, a sailor with prolapsed hemorrhoids, had his situation corrected by a surgeon while four men held the writhing patient to his bed.